Noida: Dr. Pratap Chauhan – world renowned Ayurveda Doctor visited Amity University, Noida and delivered a lecture on ‘Ayurveda – Scientific Way of Life’ for the students of the University. Dr. Chauhan was welcomed by Mr. Arun Chauhan- Trustee, RBEF (umbrella body of Amity Group of Educational Institutions). 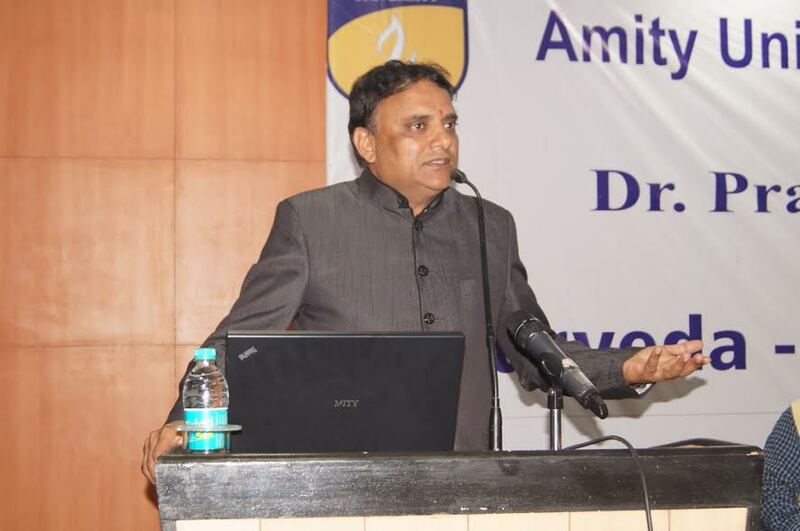 Delivering the lecture to an inquisitive audience, Dr. Pratap Chauhan stressed that today’s youth has misconceptions about Ayurveda; they consider it as some kind of medicine or therapy whereas he emphasized that Ayurveda is a Science of Life which aims at healthy mind, body and soul. 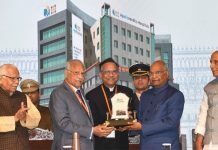 He remarked that Indian reservoir of natural medicines is reckoned worldwide and even foreigners are now resorting to Ayurveda for the treatment of diseases which are, most-of the times, declared incurable by allopathic doctors. He stated that Stress, Tension and Anxiety are part and parcel of everybody’s life now- a -days, much to their chagrin. 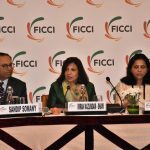 He averred that it is very important to understand what health is and how to use our intelligence to promote health, which is succinctly outlined in Ayurveda. He explained three kind of body types- Vaat (dominance of Air element), Pitta (dominance of Fire element) and Cough (dominance of Earth element) and called upon the students to identify their body types and follow the diet accordingly to ensure disease free body and longevity. He stressed that it is important for an individual to identify his dominant element to enjoy blissful and happy life. 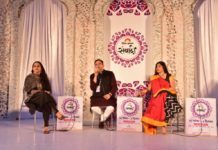 Comparing allopathic medicines with ayurvedic remedies, Dr. Chauhan stated that Science of Ayurveda says that every individual is unique, his body type and dominating element differ which calls for a different set of treatment for everyone. He pointed out that Allopathic medicines are prescribed on the basis of the disease, overlooking the parameters which are given lot of importance in Ayurveda. The students and faculty members posed plethora of questions to the Doctor who very elaborately replied each and every question. Nice information you have send about health thanks for sharing this useful information. We are here to provide or offer to book doctor appointment online through Spirals.